A bit of a holy grail of opera houses, the history surrounding Vienna Opera House is like a subtext that permeates the operatic artistry on display. The thought of being in a city where much of opera’s history and success lies colours one’s reactions to current offerings. Alagna had the cultural cognoscenti of Austria cheering for more practically before he even started. There is a moment in Maria Von Trapp’s biography where she describes the effect on the audience after she swallowed a fly during a concert. The error made her all the more human and brought the crowd round to her side even more. 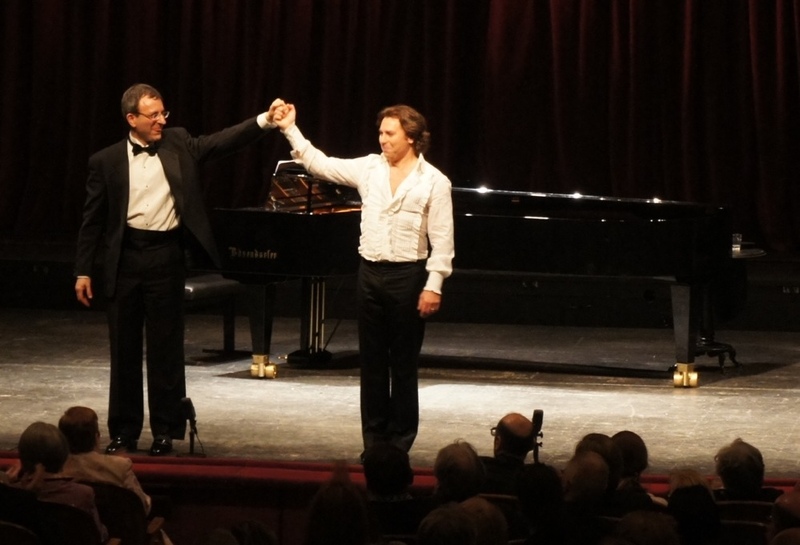 Alagna’s ‘fly’ during his solo recital for Vienna State Opera was a cracked note during the final song of the first half. Though he finished the song, “Je pense a vous”, strongly, he held up his hand to stop applause and sang the final phrases again, perfectly, not once but twice. The audience cheered for their human hero. 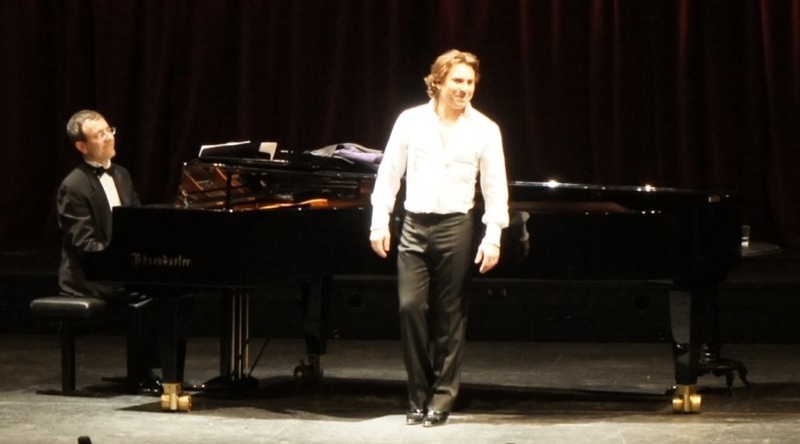 Eschewing cliched opera hits, Alagna had the crowd swooning to a series of highly romantic selections, mainly in his native French. positioned well forward on a platform over the orchestra pit, Alagna’s bright, beautiful voice filled the house with great volume. Pianissimo sections were all the more exquisite, with Alagna treating the gorgeous lyrics like poetry. A wide range of composers were represented, including Cherubini, Massenet, Thomas and Giordano. Accompanist Pierre Vallet proved himself a concert pianist in his own right with a solo piece in each half of the concert. A performance highlight was “Ed ancora la tremenda porta” from Donizetti’s Roberto Devereux. 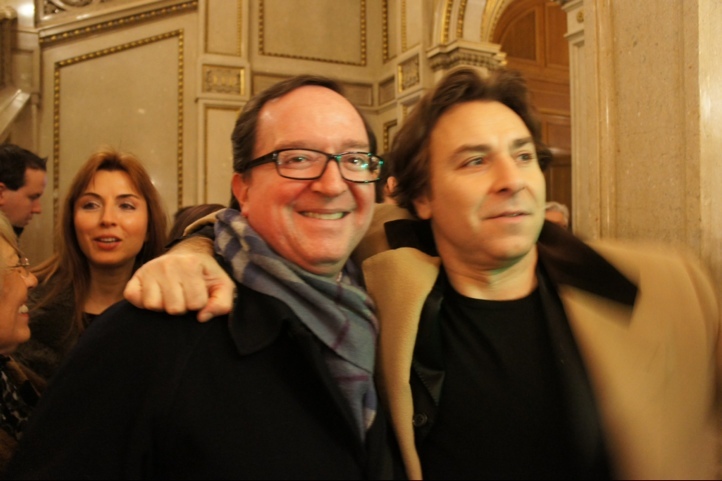 A beaming Alagna gave a highly generous five encores, including a German song that had the audience hushed as if witnessing an intimate prayer. In demonstration of the impromptu nature of the encores, by the fifth one there were no more songs for Vallet to play so Alagna sang a rousing number in Latin a capella. The generosity continued with an appearance in the foyer for autographs after the show. Man in Chair was pushy enough lucky enough to have a photo with the legendary star, although it would seem that a pretty girl in the queue caught his eye at the last second. Superb singing is highlighted in this extremely ordinary production. Maybe all the money for sets went on star salaries? Fortunately, these stars were worth every cent. Tenor superstar Jonas Kaufmann (above) leads a uniformly strong cast in what is not much more than a concerts staging of Gounod’s richly melodious opera. Kaufmann’s first achievement is his characterisation of Faust the older and Faust the younger, making a marked difference in his vocal tone for the two. His next highlight really establishes his star presence for the night: a highly sensitive and carefully considered performance of “Salut, demeure chaste et pure”. Albanian soprano Inva Mula plays Marguerite by way of Mimi, focusing on the tender, vulnerable aspects of the young woman so unlucky in love. Bringing the audience to her until they are completely under her spell, Mula is heartbreaking. At the heart of this production are the extended duets between Faust and Marguerite before interval at the end of the third act. Mula and Kaufmann glimmered in these highly romantic scenes, their pianissimo singing particularly exquisite. Albert Dohmen, wittily dressed in a range of black costumes with red flourishes, is a strong presence as Mephistopheles. Dohmen uses his powerful bass voice to good effect but could have used some menace and growl to enhance the more sinister nature of the role. 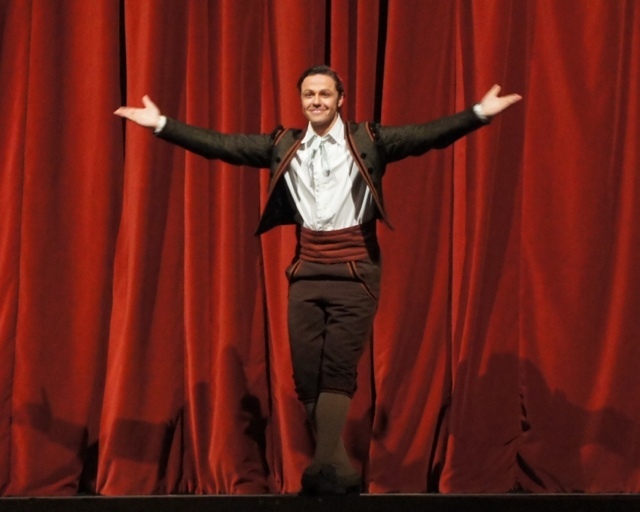 Strongest support possible comes from Juliette Mars as the lovestruck youth Siebel, Adrian Erod as the noble Valentin and Monika Bohinec as the lusty Marthe. Bohinec more than holds her own in the excellent act three quartet with the trio of main leads. A huge ensemble sings with magnificent power and beauty, aided, of course, by the divine music they are given to sing. Dressed in shades of grey, the range of characters they are dressed as is wasted by poor direction in which soldier, gentleman, waiter, passerby all walk and stand alike and mingle with no purpose or distinction. Facing upstage in a freeze during a solo is school musical direction at best. The fact that the entire ensemble waltz together in act two is a fine achievement (only in Vienna?) but the cramped downstage space only allows for a crowded jumble. So what is taking up the space that leaves no room for the ensemble? Five large white screens in white frames which spin and move at whim. If they were meant to represent anything other than a huge saving in production costs then it completely escaped this viewer. Act one is done in front of a curtain, act four has a pipe organ and act five features some prison bars. Nothing to drink in the drinking song, no mirror for Marguerite in the Jewel Song, no bed for Faust and Marguerite. Hopefully budget, not to mention creativity, will be in more plentiful supply next time. Grateful fans were left satisfied after more than ten minutes of curtain calls. 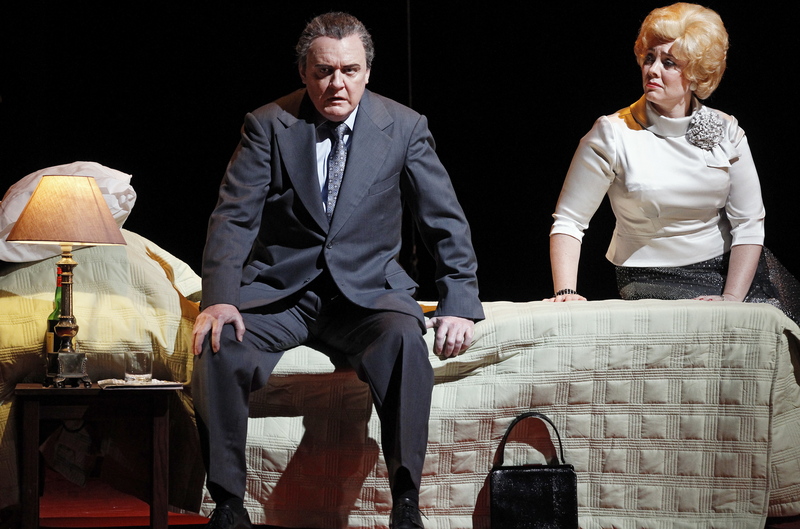 The polish of the cast provides the sparkle in this completely traditional staging of Rossini’s comic masterpiece. No role debuts here, it is clear from the outset that we are in the company of absolute professionals. And nowhere is this more evident than in each singer’s effortlessly nimble handling of rapidfire parlando passages. 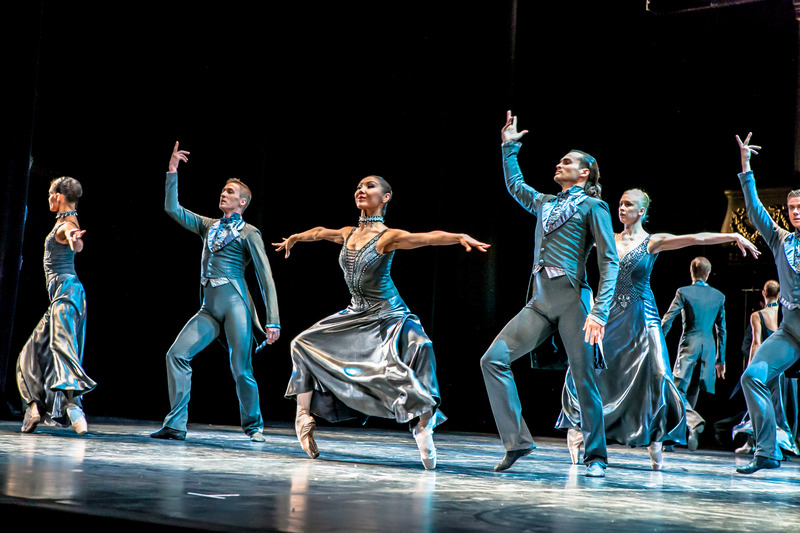 The perfectly cast set of seven principals complement each other’s work with precision and grace, allowing each singer their chance to shine. Barely daring to breathe, the audience sits entranced through opera’s most well known overture. As the curtain rises to reveal the three-story exterior of the house of Dr Bartolo, Count Almaviva and his merry band of players makes the first of many entrances from the pit. It is pleasing to report that character work from the dozen or so male chorus members is strong and often humorous. If there is a standout in the extremely evenly matched cast it is Laura Polverelli as Rosina. That a singer so slight of frame can produce such a rich, full sound is testament to her obvious talent and expert training. Benjamin Bruns’ tenor has a deliciously mellifluous tone, and it was disappointing that Almaviva’s final aria, often added to recent productions, was not included here. If there was an element missing in the direction, it was the knowing wink to the audience to include them on the joke. Surely this piece is too well known to be done any other way. Donna Ellen (Berta) sang her lament “Il vecchiotto cerca moglie” out to the audience and had them in the palm of her hand. If only this had been done more often. Recitative exposition could also have sped up a little. Walls slid off to reveal the interior of the home, and the multileveled set was used particularly in act two as Susanna was instructed/romanced by “Don Alonso” and Figaro attempted to shave Dr Bartolo. Nothing new or groundbreaking to be sure but nonetheless a night of pure entertainment at the opera.